School glue bonds to most porous surfaces like paper and cloth as well as semi-porous surfaces such as wood and ceramics. Nontoxic glue easily washes out with soap and water. 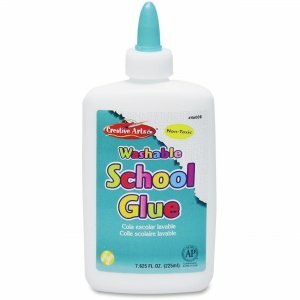 Glue is perfect for children to use on school and crafts projects.